The Diploma of Screen (Animation) program offers students the opportunity to study all aspects of Interactive Animation. In these courses students acquire comprehensive skills in computer-generated 2D & 3D graphics and animation using the industry’s most widely used 3D software packages. SAE provides an understanding of the systems and equipment used for creating animation and the practical experience in production techniques and design concepts. Students can also go onto gaining expertise in digital animation production and business management, marketing and communications, and knowledge of the contemporary ‘infotainment’ industry through the 2nd year Bachelor level. Successful completion of the diploma level gives graduates the possibility to continue their studies towards a Bachelor program. The degree furthers the development of creative skills relevant to the animation, multimedia and web industries. It develops the understanding of relevant aspects of business management and legal matters as well as communication and research skills. This honours degree opens the way to the highest qualification (Masters and PhD). 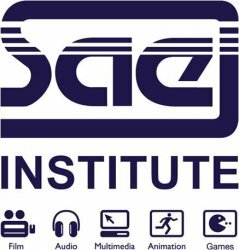 What makes SAE institute the best choice for learning digital animation? - Individual practical time - Something no other course can offer! Only SAE Institute gives you the individual practical time you need to grasp the ever-increasing skill set required to work with and understand countless programs, techniques and skills used in the creation of 2D & 3D animation projects. - Balance of practical & theory - You'll benefit from a tried-and-tested combination of formal lectures, practical workshops, competency assignments, guest lecturers and various animation projects. - Cutting edge equipment and software - Because we are a global organisation our students benefit from our vast equipment purchasing power, always providing our students with access to the latest digital technology, computers and software. - Accelerated learning - You'll learn fast and graduate fast with our accelerated program! - Schools around the world- With over 50 global locations (and still growing), you can tailor your studies to the country, industry and lifestyle of your choice.